Generally speaking most modern compression algorithms give roughly the same compression, and with regard to the number of cores that you can use at once, it is up to you to decide how many you want to use. However, 7-zip is free and open source. The 7z format supports encryption with the AES algorithm with a 256-bit key. The key is generated from a user-supplied passphrase using an algorithm based on the SHA-256 hash function. The SHA-256 is executed 218 (262144) times, which causes a significant delay on slow PCs before compression or extraction starts. This technique is called key stretching and is used to make a brute-force search for the passphrase more difficult. Current GPU-based, and custom hardware attacks limit the effectiveness of this particular method of key stretching, so it is still important to choose a strong password. The 7z format provides the option to encrypt the filenames of a 7z archive. 1) How to zip the file? 2) How to unzip the file? 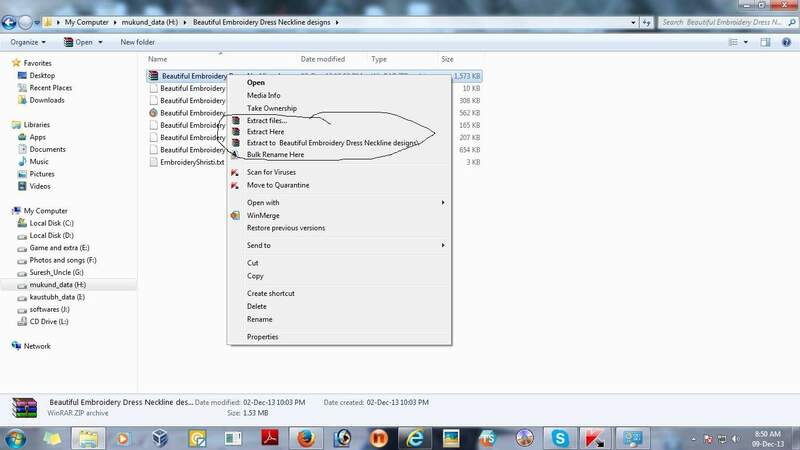 3) How to make password protected zip file ? 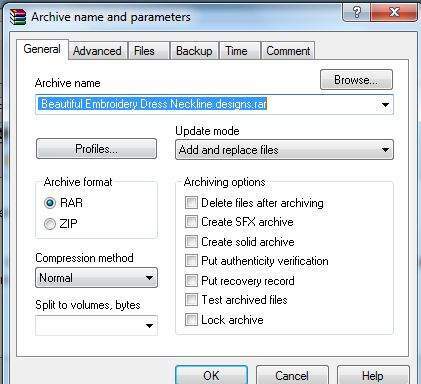 It is almost now and then we encounter the .ZIP file while downloading the Designs from the Embroidery Designs website. So, what is this .ZIP file? It is not an Embroidery Designs Format. Isn’t it? Zip is a file format used for data compression and archiving. A zip file contains one or more files that have been compressed, to reduce file size, or stored as is. How Do I Create My Own Zip Files? If you want to create your own Zip files, then check out this useful tutorial. 1. Select all the files to add to zip file. 2. Once you select the all file, right click on the files and options will open to zip or rar the files as shown below. 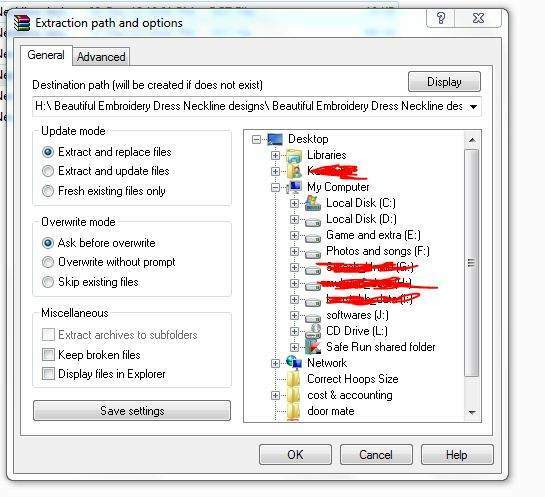 Add to....: This options will automatically create the zip file with the name of folder without accessing the additional options. So there is no need of selecting the options and then click ok to zip the file, it will automatically create the zip file with out any options to check. Software to Unzip the files? The most comprehensive unzipping software with the best compression technology is Winace, available from http://www.winace.com/.It handles virtually every single compression format and is extremely easy to use. First, you need to download and install either WinZip or WinRAR archive software. Once installed, the archive software should now be part of your Windows or Macintosh system. • "Unzip or install from an existing Zip file" in the WinZip Wizard. This Wizard will then walk you through the steps to unzip-extract the files. • "Extract files to..." in the WinRAR Wizard. Just like WinZip software, you will be prompted for the next steps. Give it several moments to do its job, and your files are now decompressed as separate complete files. You now use those files like you would any other files. If you want, you may also delete the Zip original file to now save space. 1. Install the zip file opener software, without zip opener software this will not work. 2. Once you installed the zip file opener, the zip file icon will automatically appear before the every zip file.Please note that different software have different icon. In the below image i m using winrar software to open zip file. Double click on the first file to open the zip file in a new window. 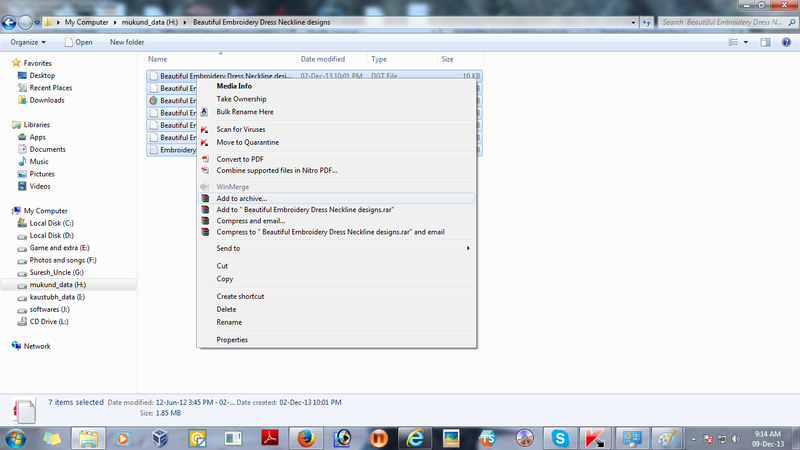 Once you double click on the zip file it will open in a new window as shown in below image. What if i want to open the file permanetey rather than every time double click and open it in a new window. That is i want to convert the file from zip file to normal file. In that case follow the following three option as shown in below image. Extract File: It will open a dialogue box with all additional advance options as shown in below image. Extract here: It will extract the file at the present location with out any options to select before it. Extract to.... : The best option to extract. It will extract the files in a new folder and extract all file in that folder. 3) It is also used for the security reason,Because once you zip the file, file get it protected from the external virus. 4) From my personal experience one must used the "zip" extension rather than ".rar", this is because it is easy to extract zip then rar. WinZip Like all things file management, it will be obscure and strange at first. But file management does become easier as you practice. Definitely do try the WinZip tutorial above.